Join us for an all new Breakfast Club! We will meet and mingle monthly from 8:30am to 10:00am. 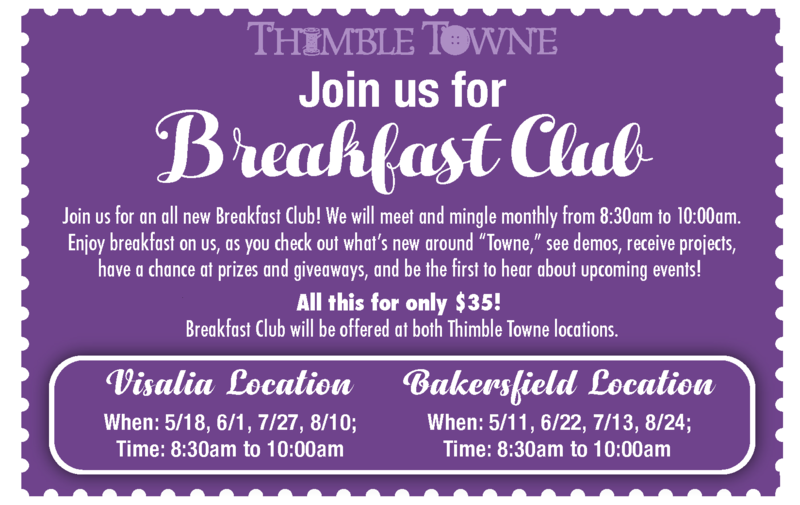 Enjoy breakfast on us, as you check out what's new around "Towne," see demos, receive projects, have a chance at prizes and giveaways, and be the first to hear about upcoming events! Don't forget to bring one or two finished projects for show and tell!